Fannin County High School Rebels start the game strong as Treylyn Owensby ran for over an 80-yard gain to the Chestatee High School War Eagles 17-yard line. Luke Holloway connects with Will Mosley for the touchdown and the Rebels went for the extra point, but it was blocked. Rebels take the lead 6-0. War Eagles take possession at the 29-yard line. 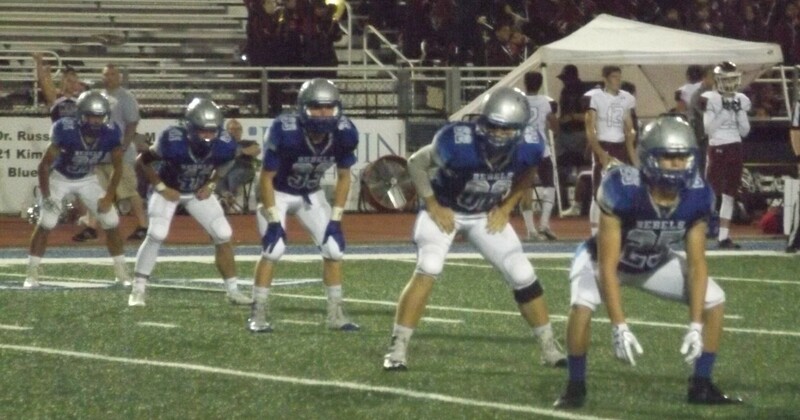 Rebels defense started strong not allowing the War Eagles to cross the 50-yard line. Some incomplete passes and a few tackles later, the Rebels are back in possession. Rebels offense takes over at their own 49-yard line. Rebels fans thought Holloways 49-yard sweep would result in a touchdown, but the yellow flag would bring back the attempt. In the next play, the War Eagles intercept Holloways attempt to connect with Jalen Ingram. War Eagles capitalize on the turnover with a touchdown and a successful 2-point conversion. The War Eagles take the lead 8-6 with under 5 minutes left in the 1st quarter. Rebels erased the War Eagles touchdown with a 26-yard gain between Holloway and Chandler Kendall and another 27-yards from Owensby. The Rebels light up the scoreboard with a touchdown and Matthew Postell with the 2-point conversion, taking back the lead 14-8 at the end of the first quarter. The War Eagles attempt a comeback at the start of the second quarter as their quarterback keeps the ball for a 30-yard gain before being tackled by Jackson Weeks at the 3-yard line. On the next play, the Rebels pick up the fumble on their own 10-yard line. Rebels capitalize on the turnover as Holloway and Kendall make an 88-yard connection for the touchdown and Sosebee gets the extra point. Rebels find themselves up 21-8 with a near 10 minutes left in the 2nd quarter. War Eagles make a long pass into Rebel territory at the 43-yard line. The War Eagles keep pushing for the end zone and get to the 23-yard line before they fumble the ball for a loss of 20 yards and find themselves 3rd down and 23 at Rebels 43-yard line. The War Eagles keeping pushing to the end zone despite their loss and get back to Rebels 23-yard line. A flag against the War Eagles puts them at the 34-yard line. In the next play, Postell intercepts the ball putting the Rebels back in possession in Rebel territory. Rebels offense gets the wheels turning with Owensby’s 31-yards, Mosley’s 18-yards, Andre Bivins’ 17-yards, and Holloway’s 10-yards for a total of 76 yards. With less than 2 minutes in the first half, Owensby makes the touchdown and the 2-point conversion, continuing the Rebels lead 29-8. War Eagles continues to answer with a touchdown and a successful 2-points now making the score 29-16. Rebels take possession but Holloway’s attempt to connect with Kendall was intercepted. 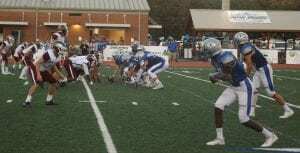 War Eagles quarterback gains 13 yards before being tackled by Weeks. In the next play, War Eagles quarterback breaks away from the herd and runs into Rebels endzone only to be called back due to a flag on the play. That brings a close to the first half with the Rebels in the lead 29-16. The Rebels kicked off to start the second half. The War Eagles successfully cross the 50 into Rebels territory and find themselves at Rebels 32-yard line. The War Eagles quarterback gains 27-yards before being tackled. War Eagles find themselves on the Rebels 4-yard line. On the next play, they score a touchdown and go for the extra point lighting up the scoreboard 29-23. Rebels respond to War Eagles touchdown with the Rebels moving up the field with vigor, Owensby with 30-yards, Mosley with 6-yards, and a successful connection between Holloway and Ingram. With a long pass from Holloway, Mosley scored for a 28-yard touchdown. The Rebels were unsuccessful on the 2-point conversion attempt. The Rebels are up 35-23. Rebels defense continues to struggle to contain War Eagles quarterback as he scores another touchdown. With the extra point good, Rebels now only find themselves up 35-30. With 1:43 left in the 3rd quarter, Rebels found themselves once again in War Eagle territory. Owensby rushed for another 10-yards putting the Rebels deep in War Eagles territory. The Rebels would erase those yards with a delay of game and an incomplete pass ends the 3rd quarter with a score of 35-30. At the start of 4th quarter, War Eagles have the ball at their own 21-yard line. War Eagles completed a long pass to put them deep in Rebels territory. The War Eagles capitalize and score a touchdown on the very next play. A successful 2-point conversion puts the War Eagles 38-35 with 10:38 left in the game. Rebels respond as Owensby gains at least 20-yards from the kickoff return. After some carries from Owensby and Mosley, the Rebels find themselves at War Eagles 34-yard line. Owensby would find the end zone for a touchdown. Along with the extra point, Rebels score 42-38. Unfortunately, there was a pivotal moment in the game where Micah O’Neal was injured and taken off the field. TeamFYNSports followed up with Coach Cheatham, has been told that O’Neal is doing okay, and the doctors didn’t find anything. With less than 5 minutes in the game, Owensby recovers the fumble at Rebels 30-yard line. The Rebels were not able to capitalize the recovery and they lose their chance for another touchdown. 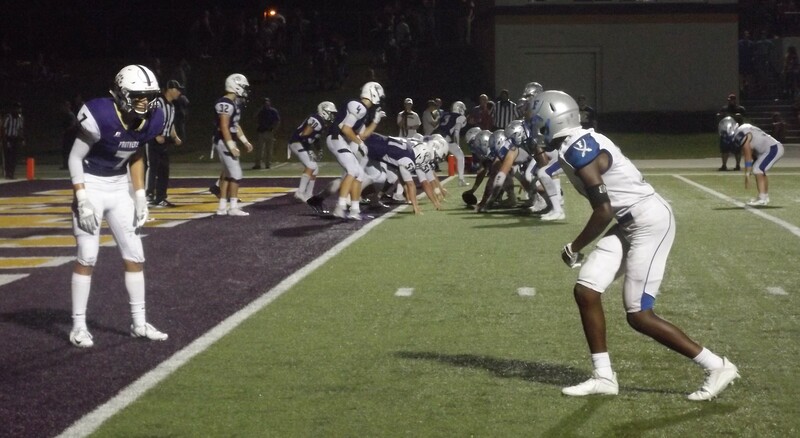 With only 2 minutes left in the game, the Rebels try to keep the War Eagles from scoring, but the War Eagles gained a near 50-yards and get the touchdown and the extra point lighting up the scoreboard and defeating the Rebels 45-42. This was such a close game and the Rebels played their hearts out. It seems like whoever had the ball last with more than 10 seconds on the board would be the team that won the game, this time it was the War Eagles. We can’t wait to see what the Rebels bring to Friday nights conference game against Cherokee Bluff High School. The Rebels will be playing at home at 7:30pm on September 28th. See you there, Rebels! 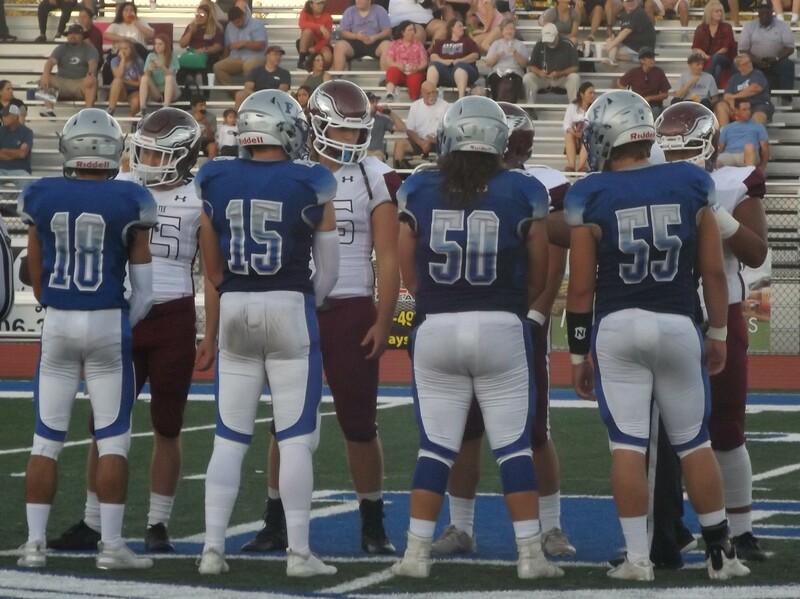 After the coin toss, Fannin County High School Rebels received the kick off. The Union County Panthers defense shut the Fannin Rebels offense down immediately and seemed to set the tone for the rest of the game. Rebels didn’t cross the 50-yard line into Panther territory before having to give possession back to the Panthers. I n the Panthers first possession, they made quick work of crossing the 50-yard line into Rebel territory. The Panthers were able to move the ball for a new first down. It didn’t take long for the Panthers to be up 14-0 over the Rebels in the first quarter. Panthers defense was determined to hold their lead by not allowing the Rebels offense into Panther territory. No matter what moves the Rebels made, the Panthers defense was there to shut it down. With only seconds remaining in the first half, the Rebels had possession deep in Panther territory. The Rebels had the Panthers end zone in sight. #12 Luke Holloway’s pass was intercepted and ran all the way back for a Panther touchdown, smashing whatever hopes the Rebels had of getting a touchdown. At the end of the first half, the Panthers had found themselves in the Rebels paint, lighting up the scoreboard and leaving Rebels in the dust 35-0. The Rebels may have felt a little stunned by Panthers fast-paced offense and shut-down defense. 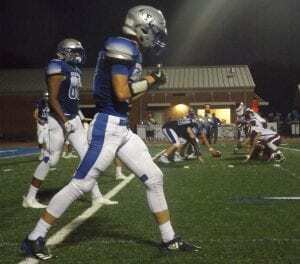 The Panthers opened on offense in the second half, nothing had changed as Panthers lit up the scoreboard when a Panther ran downfield into Rebels end zone as they lit up the scoreboard once again. Panther’s increased their lead 42-0. Unfortunately, Rebels #47 Tate Heaton, was ejected from the game due to a personal foul for what seemed to be shoving a Panther’s player after the touchdown. According to GHSA rules, a player ejected from a game is not allowed to play the following game. So, it’s possible that Heaton will not be playing in Fridays game against Chestatee High School. With a 42-0 lead in the third quarter, this gave Coach Allison a perfect opportunity to rotate players in the game. After the Panthers made substitutions, the Rebels offense was able to move the ball into Panther territory. With each possession, the Rebels seemed to get closer to Panthers end zone. It was in the last few seconds of the 3rd quarter, that the Rebels set themselves up for a potential touchdown. The Rebels ended the 3rd quarter on Panthers 1-yard line. The first play of the 4th quarter, the Rebels finally found the Panthers end zone and on the scoreboard with the extra point, changing the score 42-7. The Panthers answered the Rebels with a touchdown and the extra point making it 49-7. A Rebel highlight, late in the game, Rebels #15, Chandler Kendall, got an interception and about a 15-yard gain, which gave the Rebels the ball. In the last 4 minutes of the game, both Panthers and Rebels opted to run a ground game. The game ended with the Panthers winning 49-7 on their home turf. The Fannin Rebels will pick up next weeks game at 7:30 at home against Chestatee High School. Come out to support our Rebels as they play their 4th game of the season. Let’s go Rebels! 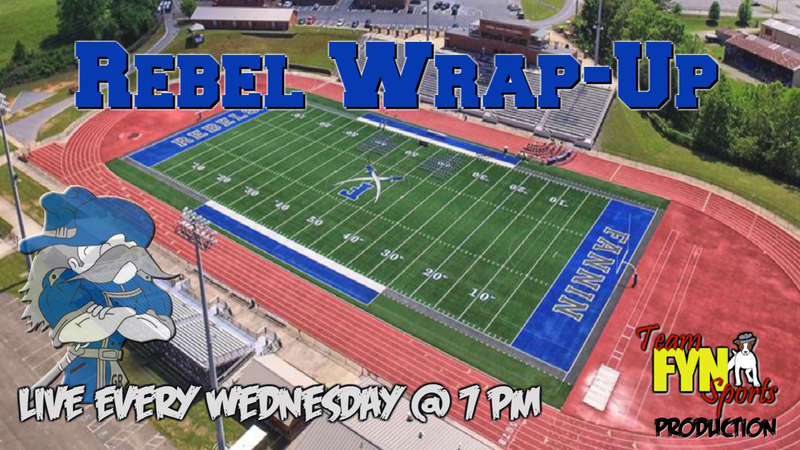 BKP sits down every Wednesday night with Fannin Rebel’s head Coach Cheatham to discuss the previous weeks game and look forward to the next game. 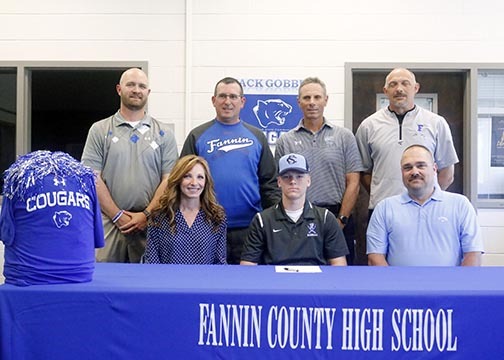 Fannin County Senior Jack Gobble took center stage on Tuesday as he signed his National Letter of Intent to further his education and baseball career at Cleveland State Community College located in Cleveland TN. The Cougars are coached by Mike Policastro and have a 2018 record of 36-17 overall. The most recognized teams that the Cougars face are Bryan College, Piedmont College and Jackson State Community College. Policastro and the Cougars have an impressive 20-7 home record and really liked what they have seen in Gobble. Gobble, the senior catcher for Fannin Co. has been raised a Rebel starting at 5 years old when he first took the field as a tee-baller and has remained a Rebel through his high school career. Jack spent several years on the travel baseball circuit playing for teams as Team Elite, East Cobb Blacknights and Barrett Baseball. In 2012, Coach Scott Pischota (former Major League player) took Gobble and his team to experience the atmosphere of Cooperstown Dreams Park in Cooperstown New York. Jack Gobble and his teammates were all inducted into the American Youth Baseball Hall of Fame that was founded by Coach Lou Presutti. The stats for Gobble are proof that as he has continued to play that he deserves the opportunity to continue his career at the next level. Gobble made is debut as a starter on Varsity for the Rebels in his Sophomore year and put up a .211 batting avg., a .263 slugging percentage and over his Junior and Senior years those numbers improved. In his Junior season, Gobble had a batting avg. of .276 with a slugging percentage of .345. As the catcher gobble had a .971 fielding percentage. His Senior year he came out shining with a .341 batting avg. Gobble had 11 doubles, 1 triple, 4 home runs and brought in 22 RBI’s. Behind the dish, he had a .980 fielding percentage and threw out 50%(15 of 30) of the runners that attempted to steal the next base. In 2017, Gobble was chosen as the Defensive Player of the Year and chosen as 2nd Team All-Region. Coach Ayers has nominated Gobble for the 2018 All-Region and 2018 All-State teams that are chosen by High School coaches across Georgia. Coach Ayers also stated that if Jack plays his cards right, we could very well be watching Gobble play for a major D-1 program in the future. An interesting fact on Gobble that will probably surprise a few people is that Gobble has played the Violin for 10 years and really enjoys picking it up and having a little fun with the bow. Jack’s parents Mike and Althea Gobble are excited that their little boy has grown up and has chosen to go to the next level as a student and as an athlete. Family, friends, teammates, and coaches look forward to seeing what the future holds for this awesome young man. 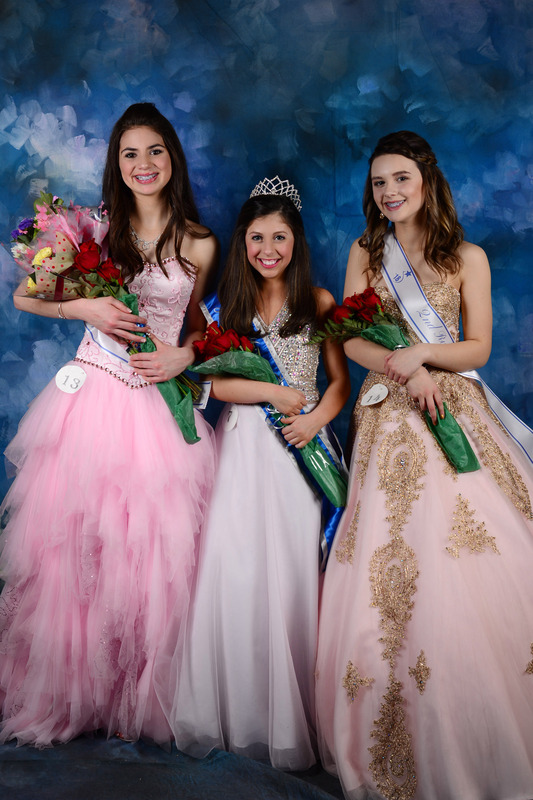 March 16 was the Junior Miss Fannin County Middle School (FCMS) and Miss FCMS Pageant. We had 39 participants. Attached are images of our winners. 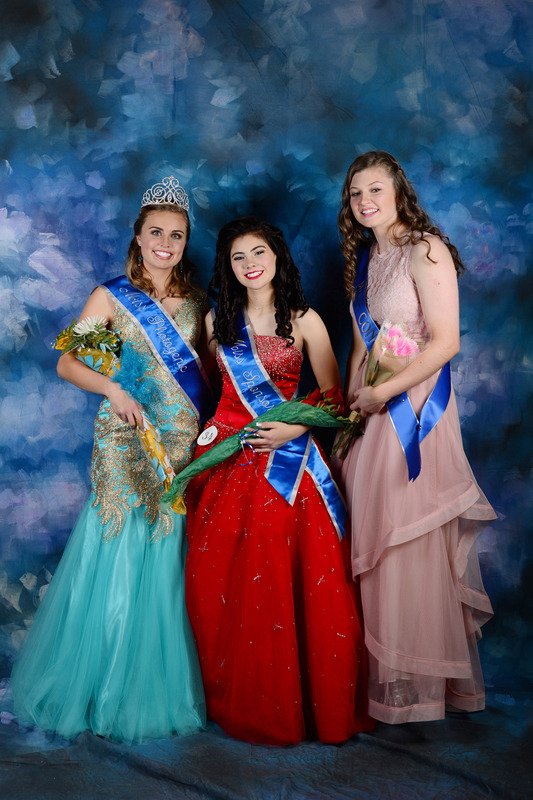 The first image is of Monica Cosentino, first runner-up for Jr. Miss FCMS, Middle is Jr. Miss FCMS Reese Lindstrom, second runner-up Jr Miss FCMS Madison Denton. 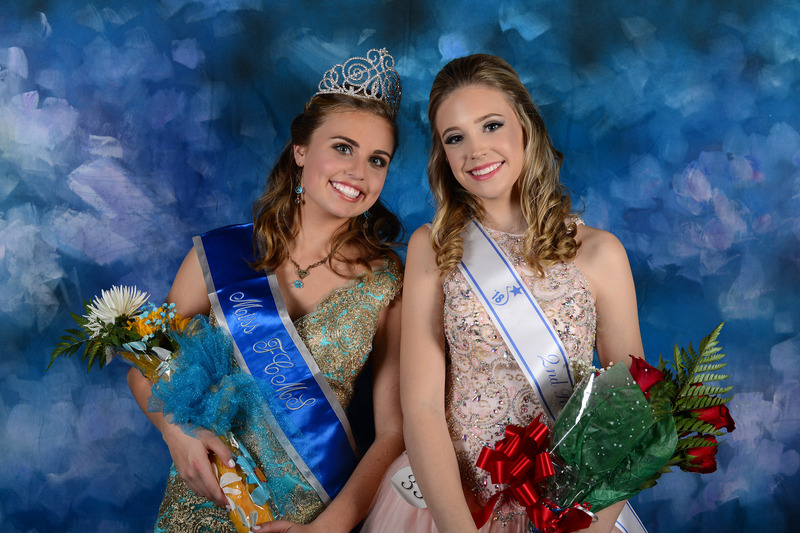 The second image is Miss FCMS Kinsley Sullivan and second runner-up Miss FCMS Leah Pope. Not pictured is first runner-up Miss FCMS Brekailyn Arp. The last picture is of Kinsley Sullivan, Miss Photogenic, Taylor Poland, Miss Sponsorship, Adealyn Ray, Miss Congeniality. Not pictured is Emily Mealer, People’s Choice winner. Leading the way to economic vitality and quality of life in Blue Ridge, McCaysville, Morganton and all of beautiful Fannin County, Georgia. 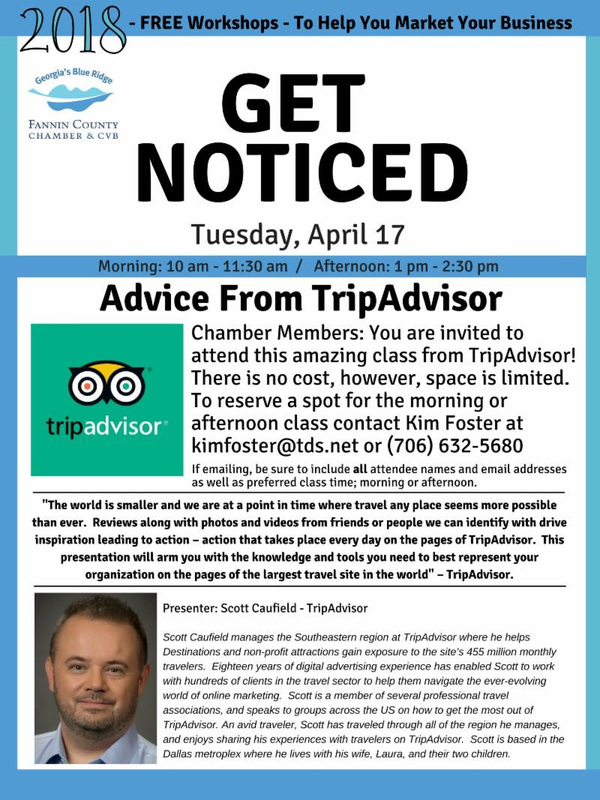 Be sure to provide attendee names, email addresses and specify morning or afternoon class. 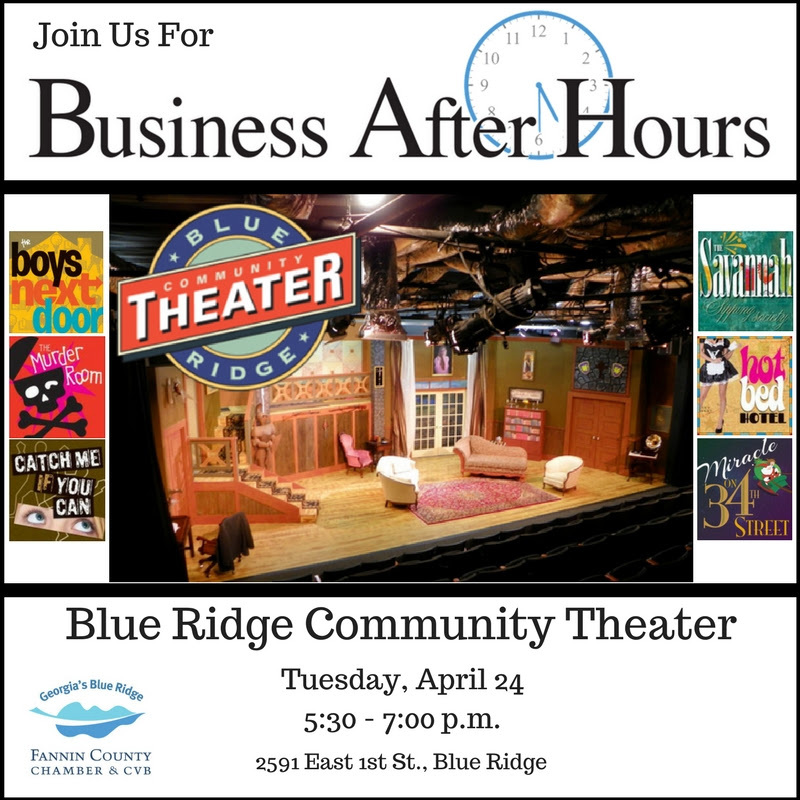 Join us on Thursday, May 3, at the Blue Ridge Community Theater for the Chamber’s pre-primary Candidate Forum. There will be a meet and greet beginning at 5:30 p.m., followed by the Forum from 6 to approximately 9 p.m. 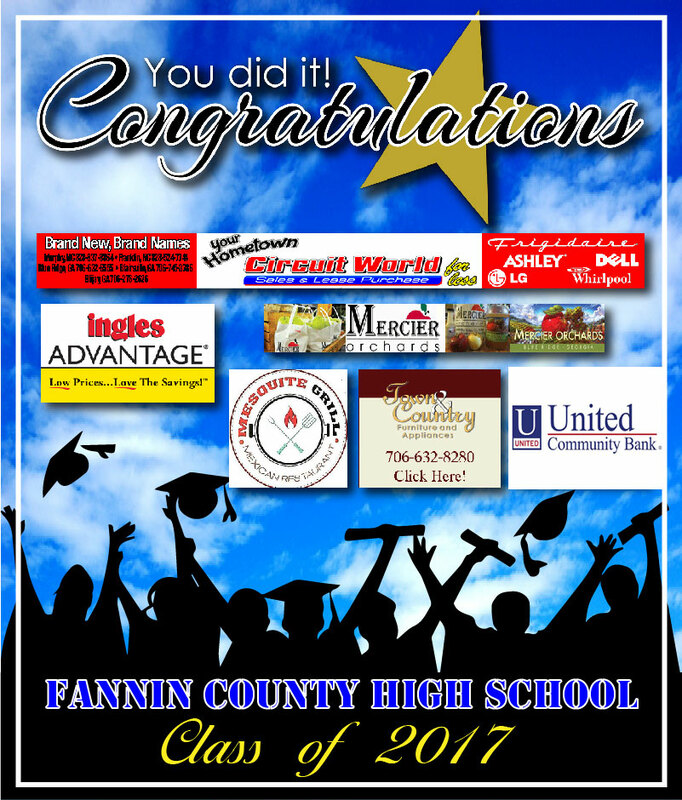 Included will be local candidates for Fannin County Board of Commissioners Post 2 and two seats for Board of Education. Both Republican and Democratic candidates have been invited to participate. The Chamber is helping sponsor the annual meeting of the Georgia Outdoor Writer’s Association from April 26 to 29. Approximately 30 outdoor writers will be in Fannin County experiencing our outdoor attractions, including the Trout Fest and Outdoor Adventures Festival on Saturday, April 27 in downtown Blue Ridge City Park. 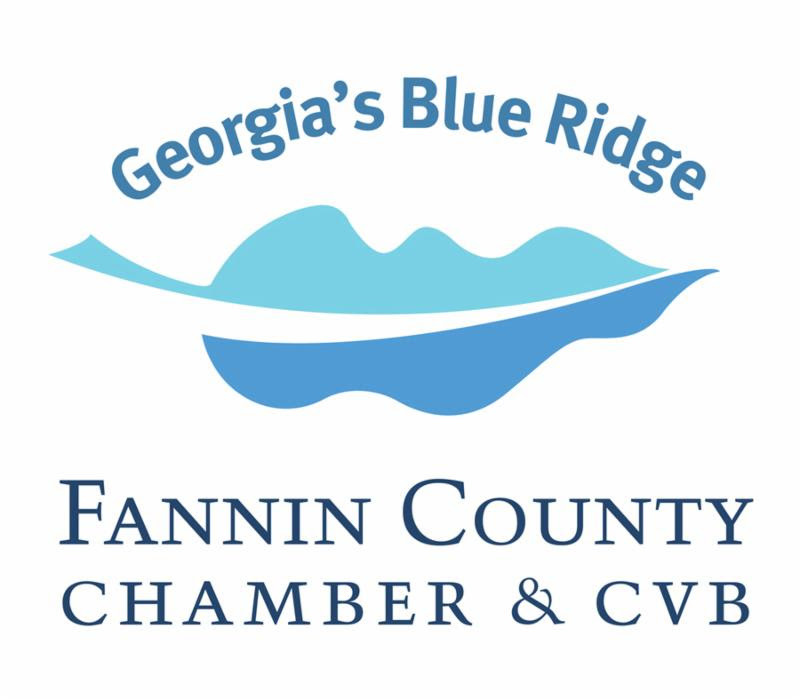 The Chamber will welcome members of the Georgia Rural Development Council to Blue Ridge on May 15 and 16 for a meeting being held at Bear Claw Vineyards event center. More information coming about the times and agenda. 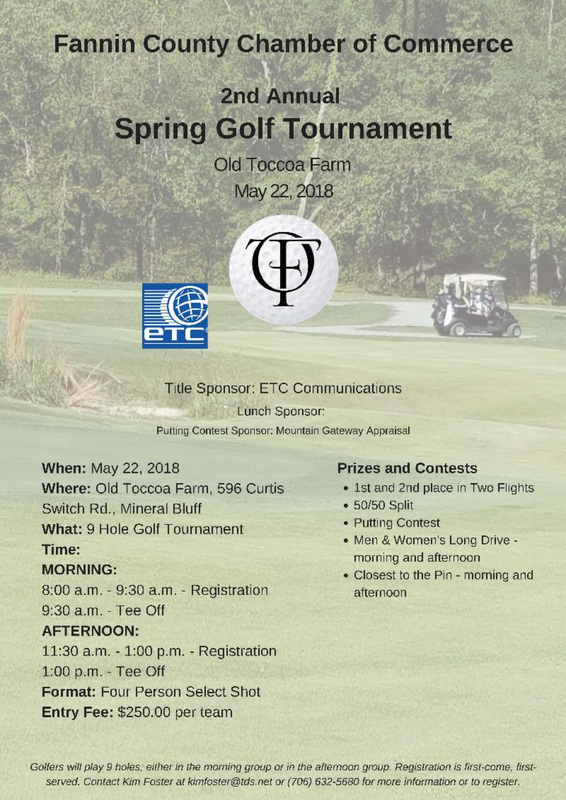 At Old Toccoa Farm – Sign Up Today! 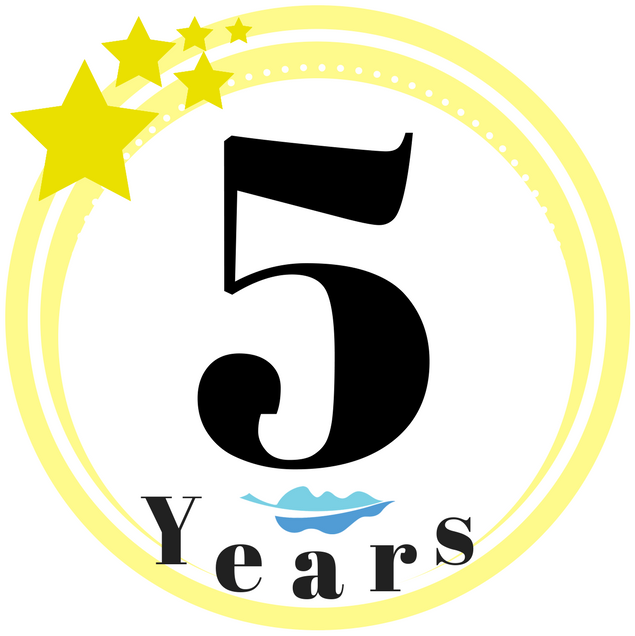 Blue Ridge Brewery, Fannin Brewing Co., Blue Jeans Pizza, Copperhead Lodge, The Last Stop, The Vault Blue Ridge, Treo Blue Ridge, Paradise Hills Resort, Riverview Beanery, Cartecay Vineyards and Chateau Meichtry. 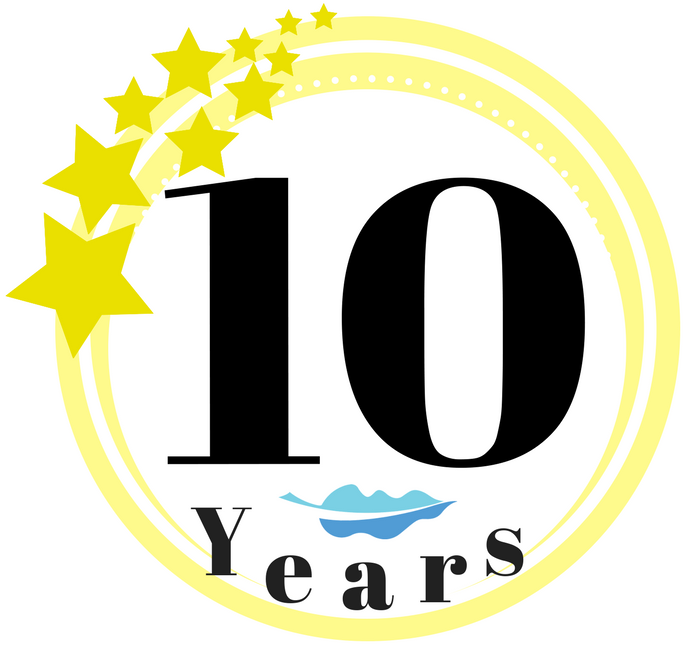 Bear Claw Vineyards, Serenberry Vineyards, Cartecay Vineyards, Mercier Orchards , Paradise Hills Resort, Nottely River Valley Vineyards and Chateau Meichtry. Thursday through Saturday’s at Fannin Brewing Company and Grumpy Old Men. Coming in April: 2nd Story Entertainment is a family entertainment center with mini-golf, games and more in Downtown Blue Ridge, GA! This unique indoor mini golf concept will feature a variety of themes throughout 9 rooms. In addition, there will be an arcade PLUS various games to through the play area and more! Anchor & Arrow Apparel offers women’s casual wear. An endless summer apparel shop! Avalon Haircrafters is serving North Georgia and surrounding areas with beauty services from routine salon visits to weddings, formal and print. The Black Bear Bier Garten offers 19 local craft and imported draft beers, 9 varieties of sausage including 6 wild game sausages. Enjoy delicious giant soft German pretzels and a variety of menu items. Blue Ridge Creative Co-Op is a team of local artisans who specialize in a variety of mediums including photography, pottery, crafting, cooking and more. They offer locally made goods and services as well as an assortment of DIY workshops catering to individuals and small groups. Dr. Pearson is board certified in Internal Medicine. Dr. Tidman is board certified in Family Medicine and holds professional memberships including the American Academy of Family Physicians (Fellow), Georgia Academy of Family Physicians and the Medical Association of Georgia. Dr. Shannon Pitman is a graduate of Southern Adventist University in Collegedale, TN. Dr. Pitman completed two residency programs: Wright State University General Surgery, Dayton, OH and Florida Hospital Family Medicine Residency, Orlando, FL. He is board certified in Family Medicine. He is accepting new patients. Dr. Trigg is Board Certified in both Pediatrics and Internal Medicine and holds professional memberships including Medical Association of Georgia, Southern Medical Association of Georgia, American Academy of Pediatrics, and American Academy of Internal Medicine. Coming Soon! Blue Smoke Barbecue. From the creator of Lucille’s BBQ and so much more…stay tuned! Coming Soon! Dig into a variety of fresh seafood including; oysters, clams, crawfish, shrimp and more. Offering fresth burgers, wings and tacos while staying connected with multiple media outlets at your family table. Dine in or on the deck while enjoying Conrad’s low country boil, New England clam bake and other seafood platters. Enjoy deep discounts during; burgerMonday, taco Tuesday, wing Wednesday and oyster Thursday, every week (dine in only). Serving lunch and dinner in McCaysville, GA.
Buttram and Seymore Garage Doors offers sales, service, installation and repair on residential and commercial garage doors and openers. Special service plans available. FREE estimates! Cabins at Blue Ridge by Wyndham Vacation Rentals is a vacation rental company, helping travelers feel at home in beautiful Georgia. They offer unique, home-like experiences backed by on of the most trusted brands in hospitality. Carroll’s Barbeque serves soups and salads, sandwiches and plates, and ribs. Fill the family with a family styled meal of classic BBQ or Ribs and more! Clay to Custom Construction is a design-build firm. Coming Soon! Concetta’s Riverside Bakery and Cafe is an Italian bakery and cafe with the largest selection of desserts in North Georgia. Relax and enjoy a fresh roasted coffee, cappuccino, espresso or a smoothie with a delectable pastry or dessert. Specializing in Italian street food, featuring Piadas (flatbreads) stuffed with Italian meats, cheeses, vegetables, eggs and sauces. Enjoy their homemade ice cream, shakes, floats and Piada sticks. Open all day including breakfast in Downtown McCaysville. Confident Carry Firearms Instruction offer firearms safety and responsibility classes, situational awareness, etc. Confidence through education. coming Soon! Cowanee Restaurant is upscale riverside dining in downtown McCaysville, GA, on the banks of the Toccoa River. Offering slow roasted prime rib, seasonal fresh fish, specialty pasta, noodle bowls and small plates. Home of the areas most extensive wine list and craft beers. Featuring a plated Sunday brunch. Located in the shops of McCaysville. Serving lunch and dinner. CreekStone Environmental and Geological Services include; slope stabilization, site plans, soil compaction testing, stream restoration and Phase 1 & 2 Environmental Assessments. Cross Country Mortgage is a mortgage lending company. To learn more about Cross Country Mortgage Cross Country Mortgage is a mortgage lending company. Deep South Carpet Cleaners is a professional cleaning company serving both commercial and residential clients in the North Georgia, and Tri-State areas. Mountain Top Cabin Rentals offers Downtown Blue Ridge accommodations for visitors who desire to be close or within walking distance of eateries, shopping, and seasonal festivals. The Ellijay Coffeehouse is located in a meticulously restored 1940’s building in Historic Downtown Ellijay, GA. They are a local living room where they encourage you to EAT, DRINK and GATHER! The décor is eclectic with chalkboard menus, and quotes along with the many daily offerings. Our Espresso bar offers specialty drinks, panini’s, and pastries. Coming soon – an escape room adventure located in Copperhill Tennessee. Expedition: Bigfoot! Outpost Adventure is a museum and gift shop of mysteries and legends of America. Glamping Under the Big Sky offers glamorous tent camping. With queen sized beds, bunk beds, outdoor kitchenette and shower/toilet. Enjoy a fire pit, horseshoes, corn hole, badminton and star gazing! High Country Pest Control offers structural pest control; termite, carpenter bees, etc. Impact Design and Creations offers custom apparel, promotional products, photo gifts and custom gifts. Jerry Mucklow is a professional photographer and videographer with a fine art background. He specializes in lifestyle, portraiture, events, family and friend gatherings, architecture and more. Jerry also has a large portfolio of fine art photographs from around the world as well as some local scenic images ideal for decorating a home or cabin. Lakeside Serenity is a 3 bedroom 2 bath vacation home located on Lake Buckhorne in Ellijay, GA.
McClure Home Inspections offers comprehensive property and home inspections. Their services include; electronic radon testing, mold testing, lead paint testing on older homes, drone roof pictures and infrared thermal imaging cameras. Retreat Renew Repeat at Miller Lake Lodge. A luxury, private retreat, Miller Lake Lodge is located on the lake close to the Appalachian Trail and offers a quaint little blue chapel on the property. 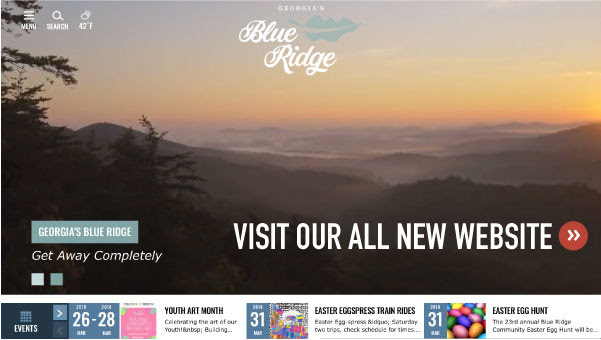 Close to all activities beautiful Blue Ridge has to offer! Coming mid-April is MooBears Ice Cream & Hotdogs. MooBears features hand-dipped ice cream and Angus Beef hotdogs in beautiful historic downtown Blue Ridge. They serve 20 flavors of premium Ice Cream from Ashby’s which is a creamery located in Shelby Township, Michigan. But before having dessert you need to try one of their delicious hotdogs. They have over 10 different dogs. Mystic Mountain Pizza is a family owned and operated pizza joint with fantastic food and a comfortable and inviting atmosphere. Come in as friends, leave as family. Nicholson Home Builders is a general contractor. Pic N Vine offers unique and one-of-a-kind handcrafted baskets and decor using kudzu vine. You can also learn how to weave your very own basket. Pic N Vine also offers black and white vintage photographs. Mark Henson has been with Fannin County School system for 30 years. He has been the Superintendent of Fannin County Schools for the last 10 years. Henson is retiring in June of this year. During our interview today we asked him about his most memorable moments, some of his most difficult times, and we also discussed the projects that have been accomplished using ESPLOST. Watch the video to hear BKP when he figured out it was time for him to retire.